I used to read a lot of books growing up. I could easily get lost in a book for hours and at times, wake up early the next morning to read a few pages further to find out what happened to my favorite character. Those days seem like a distant memory as I find it harder to block time off to read with my busy schedule. I have missed reading. But then I found a new way to read books and do so while I’m driving!! Well, not literally reading while I drive but having it read out loud over my car speaker system. Like most of you, I have an Amazon Prime account that I use frequently. What I found while shopping online one day is there is Amazon Kindle Unlimited (see link below for details). I have been purchasing books using my Amazon account for my college classes over the years in Kindle (digital) format. I used this to save money and read them across several devices. But with Amazon Kindle Unlimited there is a library of over 1 million titles AND some come with and audible version. What this means is that I can reading the book using my iPad or laptop over the weekend and then pick up where I left off while driving to/from work. How cool is that! This has allowed me to read more. You probably thought my article was stopping there.. Lol. What I really wanted to share with you is not only the wonderful world of digital/audible books but the book I read recently that has changed my life. I couldn’t wait to tell you about it because I believe it may be a book you need to read too! The book is called “Live It: Achieve Success By Living With Purpose” by Jairek Robbins. What first caught my eye was the word “purpose”. I wrote about living my life with purpose in one of my last articles. However, I have still been trying to define what my purpose is and how I should be living my life. Let me tell you, after reading this book it became perfectly clear!! And when you read (or listen to) the book you will find yourself either very happy that your ideal day vision is exactly the way you are living your life today or completely different. At first, I was upset and disappointed that my ideal day vision was so different. But then as I read through the remaining chapters, I discovered that I simply needed to take the steps to get myself closer to doing what truly makes me happy. By living my life with purpose and taking a few risks, I will get closer to the way I want to live my life every day. I don’t want to give anything away other than you need to read this book and walk through the exercises in each chapter. You will discover your ideal day vision, focus on the majors without distractions from the minors, how to fall in love with hard work, and realizing you are not guaranteed a tomorrow. With every page and each chapter read, I felt closer to understanding where I truly wanted to be in every facet of my life. As each of you read this book and/or if you have already read it, feel free to post your comments here. Ways that this book has helped you and what you have learned most. Wishing each of you a great day and I look forward to seeing you back on the Every Woman Blog! As I log into my laptop to write my next Every Woman Blog article, I close my eyes to allow my mind to wander as I try to come up with a topic to write about. It feels good to sit still, thinking about life in general. It’s not often that we find those quiet times in our busy days to just think without having a deadline or having to be somewhere. I try to come up with something and look at my calendar to see if there are any life events coming up I should write about. Then it hits me. The day on the calendar is the only one I see. It’s like there is a glow around it and my mind begins to race, my emotions flooded with memories of that moment. When my life stood still and everything changed. I will never forget that day. It was Friday, March 5th 2010 and the time was 11:15. My parents and I were at the house waiting for a phone call. You see, I had a diagnostic mammogram, ultrasound, and a biopsy the day before and the hospital’s breast health nurse navigator, Kelly Jeffcoat, was planning to call me by 11:30 with the results. I already had a feeling there was something wrong just by the reaction of those around me the day before. I tried to take my mind off things all morning but all I could think about was wanting to know. Then the phone call came. Nothing can prepare you for that moment. I actually let it ring two times before picking up because I wasn’t sure I wanted to know. I needed to know but I knew picking up that phone could change everything. I was right, my life was going to change forever with that phone call. I was told that I had Stage 2 breast cancer. From that phone call, I underwent eight rounds of aggressive chemotherapy, surgery (lumpectomy), 26 days of radiation, and then another six months of chemotherapy (Herceptin). Shortly thereafter I had my port removed and then was on medicine to lower my estrogen levels for almost five years. I met the most amazing people along the way and their friendships continue to this day. It’s hard to believe that on March 5th of this year it will be eight years since I was diagnosed! As I let my fingers move across the keyboard, I think back to the day I rang the bell and how much I couldn’t wait to get back to normal. Over the years, I would try to motivate myself to get healthier and it would work, but then I would fall back into the same habits. I would allow myself the excuse that I am lucky to be alive so I shouldn’t worry about that. But that’s not true. It’s been almost eight (8) years since that fateful day and I am no closer to finding that new normal than I was then. I can’t change my past but my future is what I make of it. I can’t expect things to work out on their own. Sometimes they do, but for the most part I know that I need to heal before I can move on. Then I will be ready to take on the changes I need to make in my life. I sat up late at night recently thinking about my friends that are fighting cancer. I read their Facebook posts and my mind wanders back to the time when I was fighting cancer. I started crying as I was reminded of the thoughtful, wonderful things that my family and friends did for me to keep me strong throughout my struggle to stay positive. What’s crazy is that I find myself not being sure of what to say to my fellow survivors. I don’t want to say anything that might upset them in any way. Then I remembered something. I read an article a few years ago that really helped. It was something that I wished I would have come across when I was fighting cancer. Something for me to give those close to me some insight and not to be afraid to talk about normal stuff. “I don’t know what to say but I’m here for you.” It’s ok not knowing what to say. Sometimes being honest about not knowing what to say keeps the conversation real/open. The person fighting cancer may not know what to say either or remember because of chemo brain…LOL. “I’m here to listen.” This is always something that can be shared, as it is so reassuring to know that there is someone that can listen. Remember that they are sharing their feelings and that it will be good for them to get out any frustrations, which will help you to better understand where they are coming from. “Let me help with…” This is a good one! It was always easier for me to say yes/no to something specific that someone was offering to help with rather than an open question, “What can I help with?” They may be too overwhelmed at the time and it may be too much pressure to come on with something specific on their own. “How are things going with you?” or “How is your family?” Talking about things other than cancer was a relief. I wanted to just talk about normal stuff too and it was a break from the daily cancer treatments, doctor appointments, and everything else that came with it. A simple text can mean the most. The littlest things do mean a lot. A simple text to say “I’m thinking of you” or “I’m praying for you” doesn’t require a response but lets that person know you care. You can find more ideas here: https://www.whatnext.com/blog/posts/10-things-cancer-patients-love-to-hear. Remember, that this is a journey not only for the cancer patient but for their family and friends as well. No matter what you do or say, it will help them to stay positive and they will know that you care. Do you have an idea or quote that was helpful for your friend or family member? If you do, post it here so that we can share with our Every Woman Blog family. In my last blog post, I talked about living life with purpose. This has been a tough thing for me to do as I want so badly to get back to the person that I used to be. Then again, do I remember who I was before cancer? Before I could begin to answer that question, I needed to come to terms with where I was in that very moment. After being thrown into the whirlwind of cancer treatment, doctor’s appointments, and many sleepless nights, I lost myself. I didn’t know who I was anymore and I couldn’t see straight. I often found myself going through the motions of daily life instead of enjoying what I was doing. My mind was thinking about what I needed to do next while also worrying that my cancer would come back. You go from fighting cancer to living with cancer. I had to come to terms with the fact that my cancer is in remission and that I will never be cancer free. In the 6 years since my last cancer treatment, I have been keeping myself busy. Trying to get to all of the things that I love to do. But what I realized earlier this year was that I was covering up the wounds and never letting myself truly heal. I haven’t faced the reality of my life as it is now. I need to face my fears before I can get myself to a healthier place. I will never be the person that I was before cancer. I have to stop trying to be the person I was before. My mindset has to change before I can live my life with purpose. This is going to be a year of change and a lot of firsts.This is going to be a work in progress and I look forward to sharing this journey with you. It’s early on a Sunday morning in late December. I am sitting on the back porch drinking a cup of coffee. The wind is blowing through the trees and I can hear nature waking up around me as the sun begins to peek in. I am the only one home and I find my mind wondering. If I could change anything, what would it be? What goals will I set for myself in the New Year? This is the first time in a long time that I didn’t wake up to making a to-list for the day. I simply allowed my mind to wonder. I decide to pick up my laptop that I set on the table next to me and begin to perform various Google searches, entering keywords like “motivational,” “purpose,” and “change.” I watch a few of the videos and they have good information, but not exactly what I was looking for. Then I came across one that stopped me in my tracks. It was like it was speaking to my heart. I found myself crying within the first few seconds. As the video played, I began to wonder if my life was “purposeful.” Was I living my life with purpose or simply living? The video ended and it was like life stopped for a moment. I sat there staring at my laptop as I realized that I wasn’t living my life to the fullest. Don’t get me wrong – I am happy for the most part, but I know that I am not living my life with purpose. There are things that I love to do that I put on the back burner. I can only blame myself as I have a tendency to fill my plate to the point where I am getting a lot done, but I can’t enjoy what I am doing. I am trying to get one thing done so that I can move on to the next. This is not the way I want to live my life. It’s time for a change. Life should be meaningful and it won’t be until I make it a priority. If life is meaningful, it will be purposeful. I hope each of you enjoy the video and find your true meaning (purpose) as you head into 2017. This is just the start of my journey and I will be writing more about it in my upcoming articles. I will leave you with one of my favorite quotes and as this will be my motto for the New Year. I’m looking forward to sharing my journey with you! Today I woke up. That’s always a start to the day. 🙂 I had plans to go to work, dinner with family and then whatever I could fit in afterwards. I started to go through my get-ready-for-work routine and I wasn’t feeling well. I have been fighting a stomach virus for a few days and was trying to get back into a regular routine. I didn’t feel like myself. I couldn’t put my finger on it but something was different. Everything in the house was the same, in its place where it was when I went to bed last night. I looked in the mirror and what was looking back at me was the same. Why was I feeling this way? Did something happen that I wasn’t aware of? I checked my phone. No text messages or phone calls. Surely if something happened I would have at least gotten a phone call or text message. I then checked Facebook. Nothing new there either. I thought I was losing my mind and chalked it up to not feeling well. Maybe I was running a fever and my thoughts weren’t clear. I emailed work to let them know I would be taking the day off, fixed a cup of coffee, sat on the couch and turned on the morning news. I just couldn’t shake the feeling I was having. What was going on? Then it came to me. Like someone tapping their finger on my shoulder to get my attention. It took me a minute to know that someone was trying to get my attention. I turned to look and no one was there. You see, it was God. Here I was, frustrated the last few days because I had a stomach virus and couldn’t do the things I wanted to do. It was like a lightbulb went off. I realized I needed to use this time to not only get myself well, but to re-focus my life. Today was my tomorrow to make the needed changes. It was time to start healing. I needed to stop making excuses and to start making a plan to get where I want to be. I wouldn’t get into my car and start driving to a new place without bringing up directions on my phone or GPS. If I did that, I could expect to drive in circles or at least take longer to get to where I was going. That is, if I knew where I was going. So, I need to look at my life as a map. Not 100% planned out, but at least a map to get me going in the right direction. But without a destination (aka goals), a map won’t help me. The first thing I need to do is set goals for myself. More importantly, life goals. Brainstorm your life goals. Take 5-10 minutes and write down everything in your life that is really important to you. Write down anything and everything that comes to mind. Setting your life goals. What you wrote down in Step 1 does not have to be the definitive list. Look over the list, narrow it down to the things you couldn’t live without, and then come up with a specific target and defined outcome. Building a plan to achieve them. 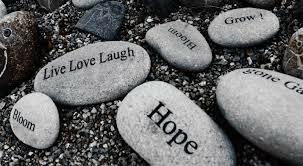 For each life goal, think about the last step needed to accomplish it and then work your way backwards. It’s an interesting approach and after you do this for your first goal, the steps to take for each become clear. Almost like they were right there in front of you the whole time but something was covering them. Getting after it. Simply put – it’s time to put your plan into action. The key is to work on each goal one at a time. If you’re like me, you will want to multi-task them all. BUT we all know multi-tasking is putting less than 100% of yourself into everything in your life. It will take longer to accomplish your goals and you will feel overwhelmed. Always remember that everything happens for a reason and each day is a new day. Don’t spend time looking in the rearview mirror when you will miss out on what is in front of you. Easy to say, harder to do. 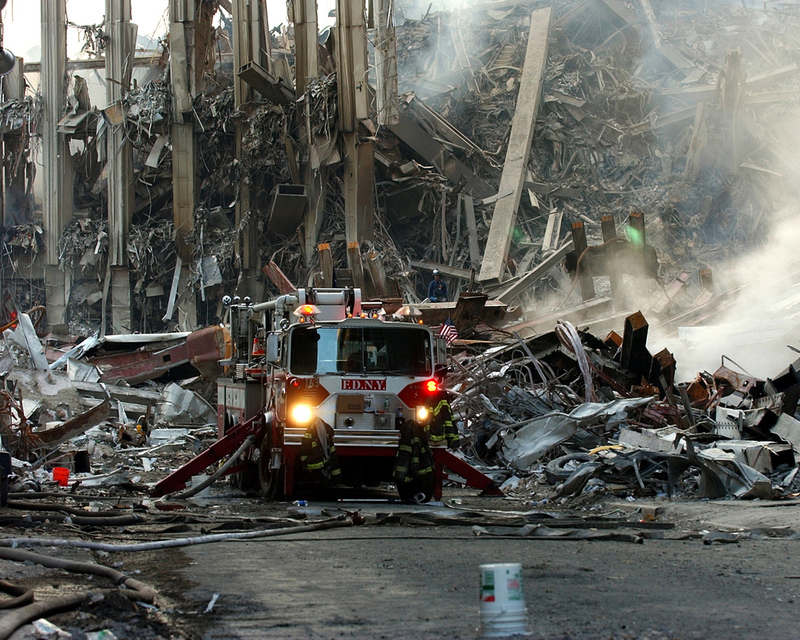 Do you remember where you were on September 11, 2001? What you were doing at the very moment when everything changed? I do. I will never forget that day. It’s been fourteen years and I can still see the faces of those caught right in the middle of the mayhem that day. A day that would change everyone. The morning of September 11, 2001 was like any day. I was working for a large utility company. I still do. The day was a typical day as my fellow co-workers and I settled into our offices, drinking coffee and working from our computers. The moment in time that will never be forgotten. There was a buzz in the office as word spread of a plane crashing into the World Trade Center’s South Tower in New York City. We grabbed our coffee and headed into the conference room. We turned our attention to the large monitor that was showing one of the news broadcasts. It was then that we got our first glimpse of the South Tower on fire, smoke billowing from where the plane had crashed into it. At first we thought something had gone wrong with the airplane, or maybe there was a disgruntled pilot. We were in shock. The news began reporting the FAA had banned all takeoffs of flights going to or around the city. Then shortly after 9:30 we learned that a plane had crashed into the Pentagon in Washington, D. C.
“Could this be a terrorist attack? Is our country under attack?” we wondered. At that moment, I got up and walked back to my desk. I wanted to call family members in the Washington, D.C. area to see if they were ok. I couldn’t get through. Everyone must have been trying to call loved ones in that area. I walked back to the conference room to see the South Tower collapsing. It was gone. The North Tower was still standing, but not for long. 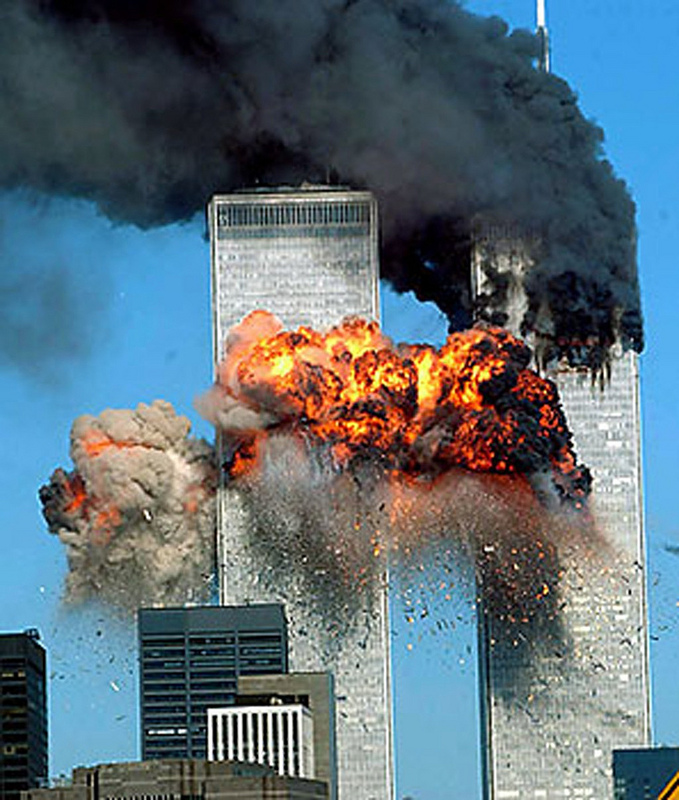 At exactly 10:28 a.m. the World Trade Center’s North Tower collapsed. I just sat there, watching images of those trying to outrun the dust cloud coming their way as each tower collapsed. We learned of another plane that had been hijacked and crashed into a field in Pennsylvania. I couldn’t believe what was unfolding in New York City, in our nation. I went back to my desk to call more family members to find that they were trying to get ahold of me. We were all in shock that this was unfolding right before our eyes. For days following the events of 9/11, time was spent closely watching the news and staying current on what was happening. It was heartbreaking to see the pictures posted in New York City of loved ones that were missing. Family members were there trying to find them. 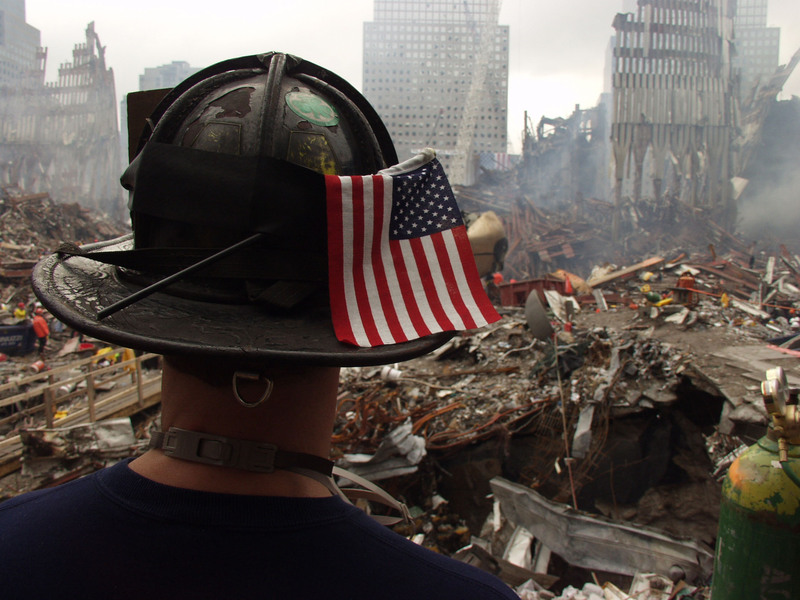 The lives of so many firefighters and police officers were lost that day as they tried to save others in the towers. It’s hard to put into words what we felt at the time of the attacks and the days/weeks/months following. I reflect each year at this time when images appear on Facebook and I watch the documentaries. Whether you remember that day, heard about it at school, or are just learning about the events of 9/11, this day causes all of us to pause. I wanted to find a place to go to reflect and honor those that gave their lives that day. I found what I was looking for. The History Channel does a great job of capturing on one page exactly what I was looking for. They put together a timeline, speeches, and videos on their page. Be sure to check it out! We will never forget that day. The stories of those that bravely tried to overtake the terrorists on the plane that crashed in Pennsylvania. The fearless firefighters and police officers who climbed so many stairs in the towers to lead people to safety. The many brave men and women who helped to rebuild our nation after the events of that day. They all gave up their own safety to save others. Let’s take today to honor those that were lost that day. Take a minute, pause from your daily routine and share in a moment of silence. 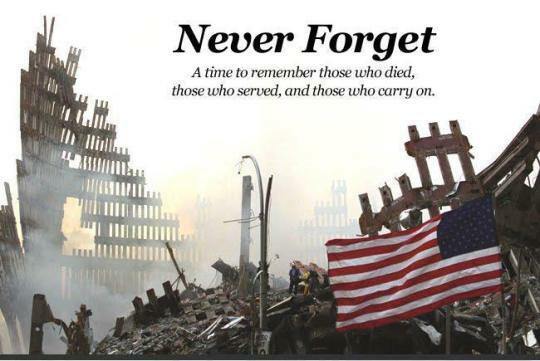 Like Alan Jackson’s song, “Where were you when the world stopped turning?” What do you remember most about this day?